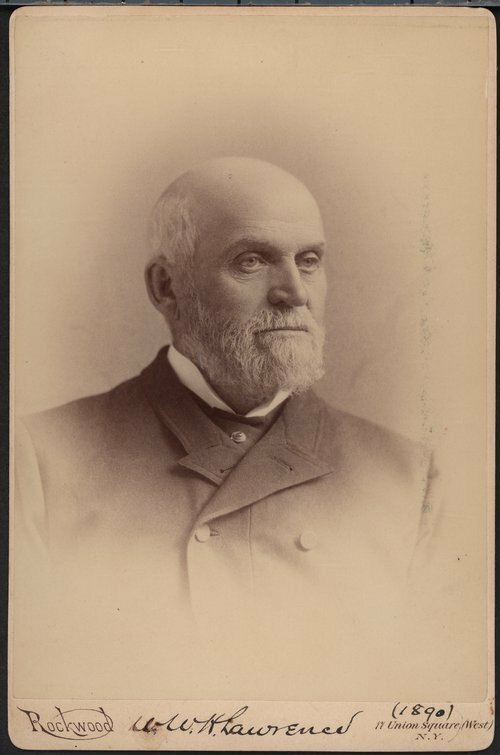 A photograph of Warren Wirt Henry Lawrence, a lawyer, who came to Kansas in 1857 and settled in Franklin County. He was elected to the 1861 state legislature and in 1862, Lawrence was elected secretary of state. He left Kansas in 1868 and worked for the Denver & Fort Worth Railroad.